Apply Now for An Experience of A Lifetime! 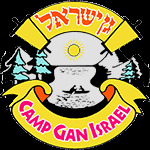 To Apply for a counselor position in Camp Gan Israel of South Texas, please fill out the following form. We expect all staff to bring proper medical insurance when coming to work for CGI of South Texas.